From the September hop harvest and rich, toasty brown ales to America’s enduring fascination with all things pumpkin, fall seasonal beers offer something for everyone. This year, a host of new local breweries, including Grist House, Milkman and the Brew Gentlemen, along with some steady, old favorites has Pittsburgh upping its fall beer game in a big way. While the pumpkin craze is a polarizing one within the craft beer community, Capps and the Brew Gentlemen embrace it wholeheartedly. Their first fall lineup includes three pumpkin beers—all collaborations—each with a different take on the style. The most interesting is Square Breakfast, which Capps brewed with cooperation from popular East End diner Square Café. Made with a generous batch of pancake batter thrown into the mash, the brew is lighter than your typical pumpkin offering, presenting light and creamy notes of buttermilk with a very subtle pumpkin flavor. If it’s possible for a beer to taste fluffy, this one manages it. “It’s got this interesting baked aroma,” Capps says, adding that one serving of the beer has the same proportion of spices as a single Square Café pancake. A project with Leona’s Ice Cream Sandwiches saw Capps turn out a pumpkin-flavored Belgian-style tripel which Leona’s founder Katie Heldstab worked into an ice cream. Leona’s and the Gents will host a five-course tasting of ice cream sandwich/beer pairings this weekend at the tap room in Braddock. 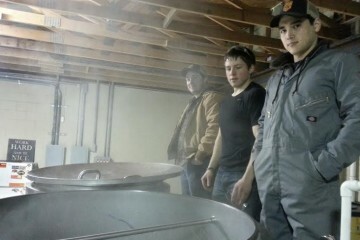 The Gents developed the third beer, an imperial pumpkin stout called Noob Gains, with their fellow newcomers at Grist House Brewing. It’s on tap at both breweries and is comparable to Southern Tier’s wildly popular Warlock Imperial Stout. 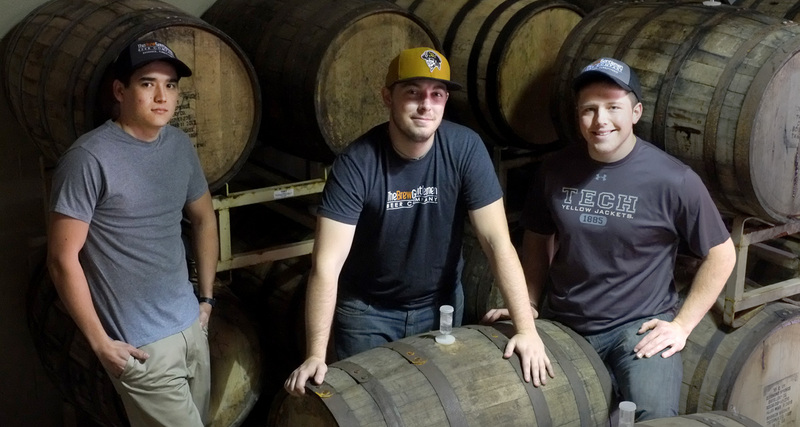 The Brew Gentlemen, Matt Katase (left), Asa Foster and Brandon Capps. Photo by Brian Cohen. East End’s Scott Smith says he doesn’t care to try and make beer which tastes like squash, but he’s developed a solid solution. East End’s Nunkin Ale is flavored with pumpkin pie spices but contains no actual pumpkin. But like many breweries, East End’s true fall seasonal is a wet-hopped version of its year-round flagship IPA. Each fall, the folks at East End take a six-hour road trip to a hop farm in the Finger Lakes region to bring back hundreds of pounds of fresh hops which go straight into the tank. This year, Smith used a greater percentage of hops grown at the Garfield Community Farm. This year’s Big Hop Harvest is a much more floral version of the standard Big Hop. Sticky and sweet, it packs a punch sure to please hopheads. East End is also planning fall releases for three different brews it’s been aging in bourbon barrels, including Homewood Reserve (aged Black Strap Stout), Old Knobby (aged Old Nebby) and Gratitude Barleywine, which Smith is planning to market as the brewery’s tenth anniversary beer. Every once in a while, you’ll see a CoStar brew pop up at Kelly’s, The Independent, Harvard and Highland or Gus’ Café. Because CoStar operates on one of Pittsburgh’s smallest commercial brewing systems, they don’t make a lot of beer, and because they don’t make a lot of beer, not many people have heard of them. This year, however, they’ve made a pumpkin beer which manages to taste both like beer and pumpkin, but without the swift smack from cinnamon and spice. It’s a pumpkin beer for people who don’t usually enjoy pumpkin beers. This makes their Pumpkin Ale, which uses fresh pumpkins in both the mash and the boil, a smattering of fall spices and some nicely matched Willamette hops, even more desirable. It’s the best-kept secret of the local fall beers, and easily the best locally made pumpkin ale. On Butler Street in Lawrenceville, Roundabout Brewery has a new batch of Jacked Up O’Lantern Stout—a coffee stout flavored with pumpkin pie spices which brings a subtle hint of pumpkin to the more traditional dry and roasted flavors of the fall palate. While Jacked Up O’Lantern satisfies the pumpkin and stout fans, brewer Steve Sloan has kegged fall as well as anyone with his Cherry Oatmeal Brown ale. Made with tart Michigan cherries, this rich and toasty brown is a fantastic option for beer drinkers looking for a fall brew, sans pumpkin. 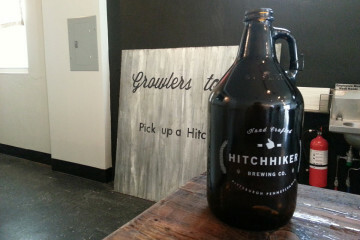 Eight blocks up Butler, Hop Farm owner Matt Gouwens produced a wet-hopped, harvest version of his already stellar IPA. This batch uses locally grown cascade hops which make for a citrusy, bold flavor. For his other fall offering, Gouwens went straight back to summer, churning out a batch of his Provision Saison flavored with lime and basil. For a really good time, go for a blend of the Saison and the Cherry Bomb, a more tart and sweet version of Hop Farm’s Imperial Berliner Weisse. Back in Millvale, Grist House Brewing turned out a solid effort in their first fall lineup. Their Lil Bit O’Nature IPA is wet-hopped with an even mix of Cascade and Chinook varieties, producing a delightful harvest ale that, while less hoppy than East End’s, is much lighter in character and contains earthy tones which give it a honey-like quality. They also took a more pragmatic approach to their own pumpkin beer. FrankenGrist was made with 100 pounds of pumpkin and spice, but done with the base of a rich, malty brown ale. While they’ve produced two beers specifically for the season, the most autumnal gem in Grist’s lineup remains their Black rIPA. While it’s nominally a black rye IPA, this beer pours like a stout, drinks like a heavily-malted porter and finishes with a clean smack of hops. Fans of IPAs, dark beers, stouts and malt-forward browns will all find something to love in this incredibly balanced and complex yet approachable brew. 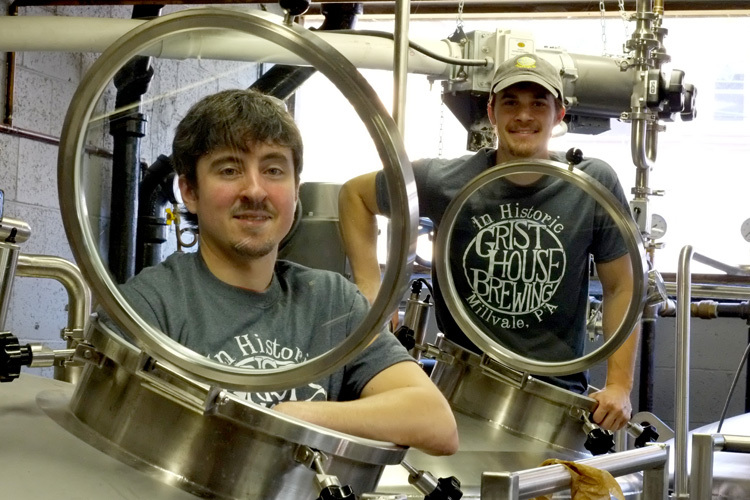 Sean Biby (left) and Kyle Mientkiewicz of Grist House Brewing. Photo by Brian Cohen. If a sweeter pumpkin beer is more your speed, check out the Double Pumpkin Ale from Milkman Brewing. While it’s big on pumpkin and clove flavors, it has a nice medium body and an earthy sweetness for a high-alcohol brew (8.5 percent). The guys at Full Pint Brewing in North Versailles also found a compromise—they don’t make a pumpkin beer, but they do turn out a delicious Halloween offering called Night of the Living Stout. Made with cascade hops and clocking in around 7 percent alcohol, it’s a sharp take on a West Coast stout, nearly as hoppy as it is malty. “We might try a pumpkin beer eventually, but everyone else makes a pumpkin beer or an Oktoberfest. Ours isn’t chasing anything else out of anyone’s tap lineup,” says Full Pint’s Sean Hallisey.